To download and print the application renewal, click on the link above the image. 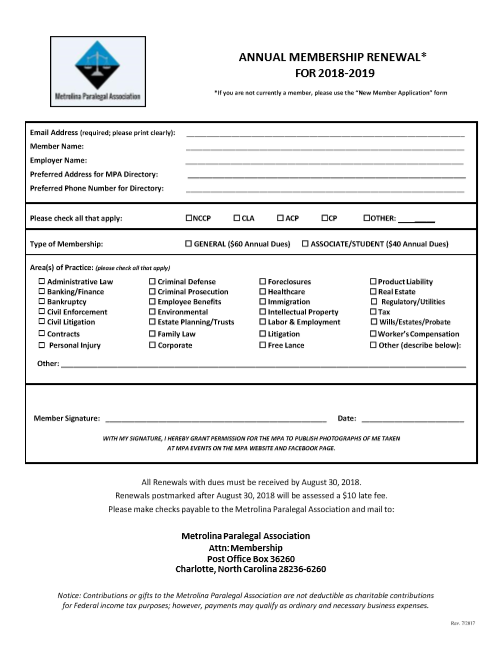 Mail-in application renewals can only be accompanied by mail-in payment of dues (personal or business check). Online payment is not available for mail-in renewals. Thank you.